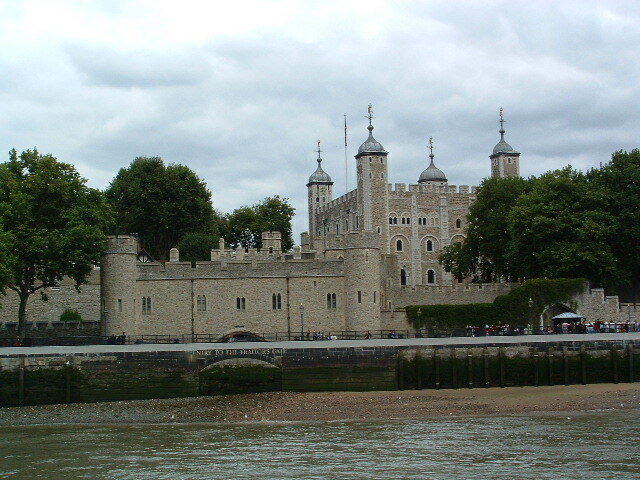 The Tower of London was one of the highlights of our brief visit to London. I love looking at the old suits of armor and all the weird weapons they came up with in those days, and cannons, rifles, pistols, mortars, and even torture devices… must be the inventor in me. On the first day in London we arrived at the hotel around 9:00 in the morning, and pretty much just walked around looking at the architecture and the local sights most of the day. We had to visit Harrods departments store to purchase something from Harrods for a grand child. 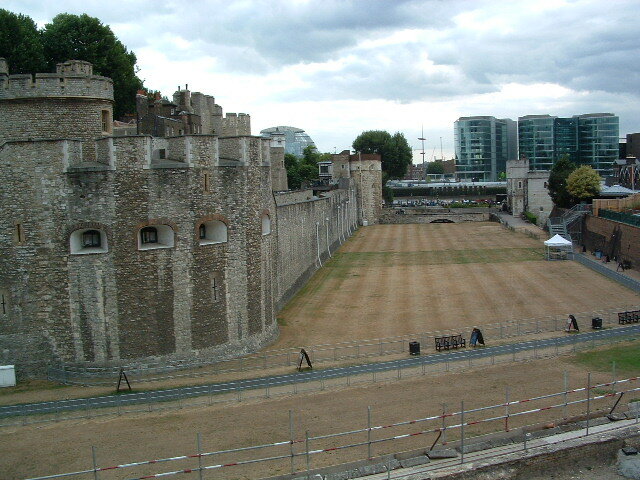 For me, the Tower of London was the most important sight to see in London. We decided to make our visit the first thing the next day. We had coffee first thing in the morning at an outdoor cafe and then walked over to the bus stop to catch the first bus to the Tower. It turned out to be a great time to visit; we were almost the first people to arrive with hardly anyone else there. To see the crown jewels, there is a moving walkway that you stand on and it takes you around the crown jewel display. At the crown jewels area they don't however, let you take any photos even without a flash. A picture of the moat around the Tower of London, drained in the early 1900's. One of many narrow staircases found throughout the Tower. Photo is a little out of focus... but still... that poor horse. Photo of a real jousting lance. Jousting must have been so much fun! Canons...notice the hexagon shaped barrel. Not shortage of muskets in the tower! Off With His Head! Ye Old Chopping Block! Lances and Spears of various types. Weapons of War!